Bill’s Lock, Safe & Security does a lot of work for PSE&G. When PSE&G moved their billing center across the street in Trenton, Bill moved the safes and the teller cash stations into the former bank building which had been renovated for the new office space. Masterkeying the new office space was the first part of the job. 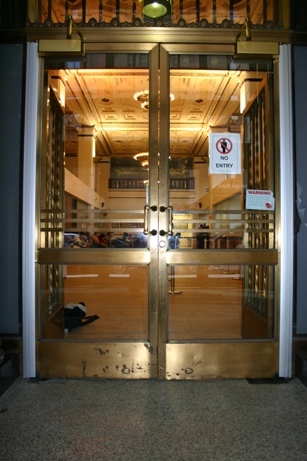 The next phase involved re-hanging a pair of bronze and glass entry doors in the lobby that were in a horrible state of disrepair. The doors were bent, the pivots were worn and the Rixson floor checks were slamming in order to close the doors, since there was no longer a gap between them. Bill and his crew removed the doors, cut off the top pivots and the Rixson pivots and installed two Roton 780-210HD heavy duty full surface hinges. They then reinstalled the doors and added two LCN 4041 door closers on LCN 4040-18 drop plates. The Roton hinges in the photograph are in clear aluminum finish. 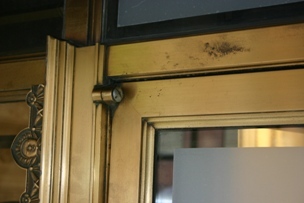 They were later painted to match the bronze finish of the doors. The finished bronze door repair resulted in a perfect 3/32 gap between the two doors. 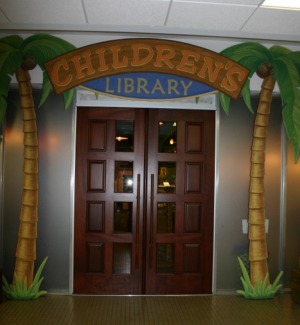 Both doors operate as intended and the job was completed in a single day. 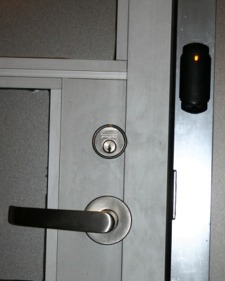 Bill’s Lock, Safe & Security provides professional security contractor / locksmith services to commercial, industrial, institutional and residential across New Jersey, Eastern Pennsylvania and the New York City Area. 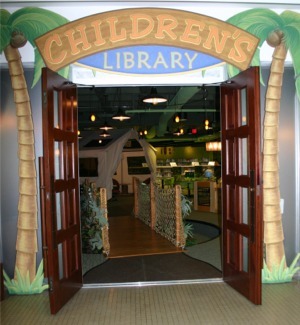 Another job done by Bill's Lock, Safe & Security at the Plainfield Public Library in Plainfield, New Jersey 07060 was the installation of a glass and aluminum door and including it in our already existing access control system. An 8’-9” high x 46” wide x 1 ¾” thick wood door covered in white formica was originally installed when the library was built in the late 1960’s. Bill’s Lock, Safe & Security removed the door and supplied and installed this 7’-0” high x 46” x 1 ¾” thick glass and aluminum door. We utilized the original Rixson floor check and arm. The new aluminum tube header was supplied with the correct Rixson walking beam top pivot. We were then able to install the door. To make use of the Keri Systems access control system, we added a Keri Systems PXL-500 reader controller with a Keri Systems MS-3000X proximity reader on the aluminum mullion to unlock the Corbin/Russwin ML2200 ECL series electrically controlled mortise lockset. The final piece to this setup was the custom fabricated stainless steel strike plate to replace the small “odd-sized” one left from the previous Corbin UT 5200 series unit lock. Bill’s Lock, Safe & Security fabricated and installed a visually attractive and secure entrance door. 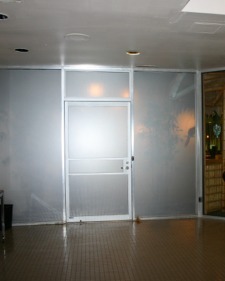 There were two 8’-9” x 35” wide panes of glass with an aluminum tube between them in an entire glass wall. Next we supplied and installed an aluminum 4” x 1 ¾” tube header. Above the header we supplied and installed ¼” thick aluminum which we held in place with miter-cut pieces of 1 ¾” x 1 ¾” x 1/8” clear anodized aluminum angle. Finally, after installing the Corbin mortise bolt lock, handles and push plates, we finished by installing two LCN 1461 door closers with hold open arms.